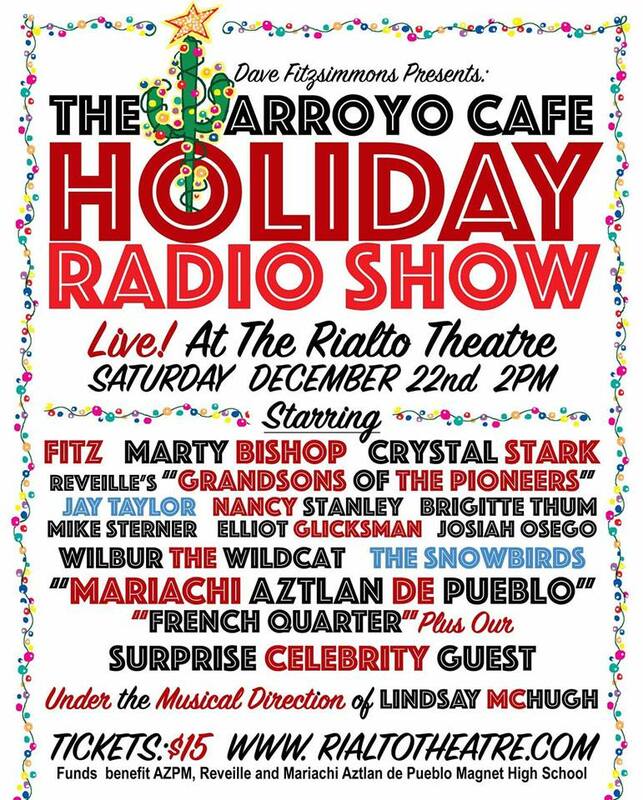 Carolyn’s note: I guess this holiday show is just in time for (dare I say it?) Christmas 2018. 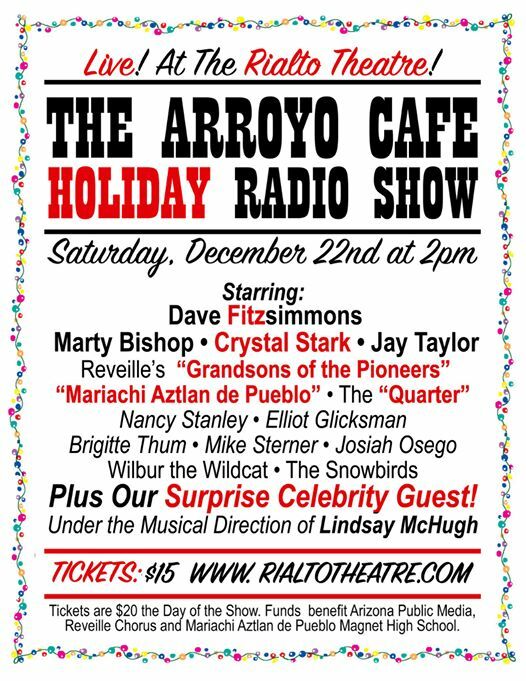 Tucson folks I know in this show: David Fitzsimmons aka Fitz, attorneys Nancy Stanley & Elliot Glicksman, and Bridgitte Thum & hubby Mike Sterner. Lots of laughs in store for you attendees. Wonder who the Surprise Celebrity Guest will be? Reveille's "Grandsons of the Pioneers"
woohoo– this fun show is tonight. Get your tickets before hand, and laugh with Fitz and gang. Wonder who the celebrity guest will be?